At the Nature Conservancy‘s Smoky Valley Ranch in Logan County, you can explore the remote prairie. It’s a unique spot, not just for its Cretaceous formations, but for the wildlife that live here. It’s home to one of the state’s rarest mammals: the black-footed ferret. One of the greatest threats to a prairie dog, other than people, is the black-footed ferret, who use the prairie dog as a food source. And as prairie dogs were much more common in the prairie before the 1900s, so were black-footed ferrets. They helped keep the populations in control, and helped create balance to the prairie ecosystem. But by 1964, with the conversion of much of the native shortgrass prairie to cropland and with the prolonged and legally required (in 1901, a law mandated townships to forcibly eradicate prairie dogs) attacks on prairie dogs, the black-footed ferret was left with little to eat, began dying out, and was placed on the federal endangered species list. In 1979, it was declared extinct. 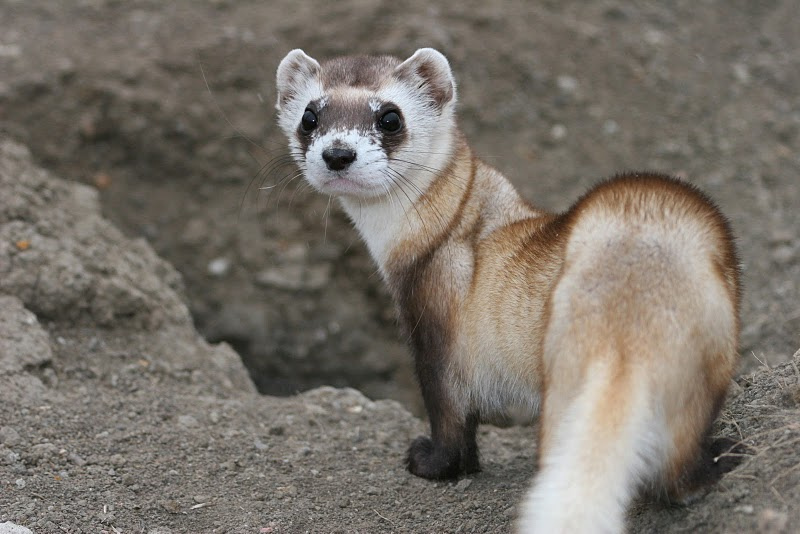 After the discovery of a small population in 1981 in Wyoming and after years of careful monitoring and after convincing some local landowners, in 2007, ten black-footed ferrets were reintroduced to the Smoky Valley Ranch by the U.S. Fish and Wildlife Service. This rare, nocturnal mammal has made a place for itself again on the prairies of western Kansas. It was thanks to ranchers in the county who volunteered their land as habitat for the nocturnal creatures and the Nature Conservancy land, and the released ferrets have been raising wildborn kits. 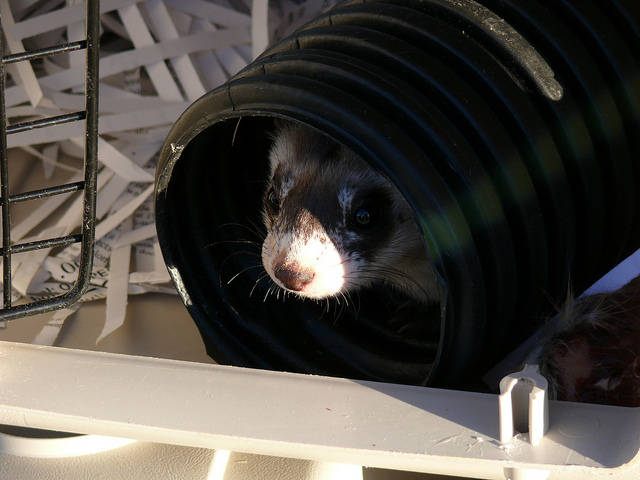 And in 2008, the Fish and Wildlife Service released more ferrets in Logan County to help “jumpstart” the population.